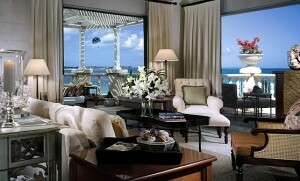 3D Cruise Partners directly represents the luxurious The Palms, Turks & Caicos. With 144 guestrooms, it is ideal for small upscale incentive programs. In addition, 3D can assist you with any hotel search worldwide due to our 75 years of combined travel experience, including hotel national sales office experience. We can initiate the search, narrow down the options, and negotiate the best possible rates, no matter the brand. 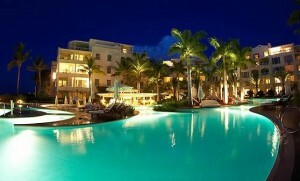 The Regent Palms Resort, located in Providencials, Turks and Caicos, is one of the Caribbean’s “best kept secrets”. With just 72 suites, this luxury resort is located on world renowned Grace Bay Beach and offers the guests the highest level of service and amenities. In addition, the Regent Palms offers a world-class 25,000 square foot spa and state-of-the-art infinity pool, promising rest and relaxation. They also offer a well-equipped Fitness Centre, together with water sports and tennis for guests of any age. Penthouses: Available in one, two or three bedroom options and ranging from 3,422sqft to 3,791sqft, each penthouse has master bedroom plus 2 additional bedrooms, a private Sun Suite with outdoor shower and full kitchen. Three Bedroom suite: From 2,646 to 2,887sqft and featuring master bedroom, two additional bedrooms, three and a half bathrooms, three private balconies, living/dining room with sleeper sofa and full kitchen. Two Bedroom suite: A generous 2,000 sqft of living space with master bedroom, second bedroom, two and a half bathrooms, two private balconies, living/dining room and full kitchen. One Bedroom suite: Amply-sized, 1,500 sqft suites with king-size bed, one and a half bathrooms, private balcony/terrace, living/dining room with sleeper sofa and full kitchen. Junior suite: Stylish 640 square foot studio rooms with king-size bed, full bathroom, private balcony/terrace, separate sitting area, full-size sleeper sofa and kitchenette.